SUMMARY: Marketers rely more on creativity than process. And though it's necessary for marketing teams to maintain strong creative energy, they might be overlooking how a clearly defined process can benefit lead gen efforts. 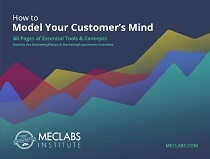 See what David Green, Director of Best Practices, Primary Research, MECLABS, had to say about how incorporating a process-oriented approach can help drive leads to the top of the funnel. Marketers rely more on creativity than process. Even within the same department, marketing managers may have different views of what they’re doing, and possibly different definitions of what they consider to be "leads." In departments such as manufacturing, or even customer service, this differentiation doesn't exist, as these areas tend to remain more process oriented. Having a repeatable process you can optimize and continually improve, makes it easier to have consistent performance and show value throughout the organization. "Marketers are often scrambling," Green says. "They need to spend more time on post-mortem, and more time on planning. Lead generation is largely about repeatable processes that allow you to make continuous improvement. Similar to manufacturing, this is not just about automating the process, but also for improving it over time." B2B marketers often struggle because they don’t spend enough time understanding who their best customers are and what distinguishes these customers from the rest. Knowing your customers is not simply about conducting satisfaction surveys or publishing success stories. B2B marketers need to analyze business buyer behavior and use the findings to inform their market approach. Green believes marketers need to capture information about buyers so they can figure out the success rate in helping customers decide to purchase. Marketers sometimes think technology (such as a CRM) can help better gauge buying behavior. But, at every touch point in the buying process, those in sales and marketing have to add their insights about what’s going on with each customer. By having these conversations, it allows one to measure what content works best, at specific times in the buying process. "Data, content and measurement need to precede automation in order for it to work," Green says. "Automation companies have gone to execs and say 'you want better forecasting and better return -- we have a magic wand,' but if they haven't done heavy lifting and measurement, automation won't work. These ideas need to precede automation." Green adds that the most important process is trying to improve lead gen behavior in the target market. It's imperative that marketers try to understand the sequence of thoughts and processes that buyers go through. A B2B company should precisely define the characteristics of the target market for each market segment, and for each product and service. The definition should describe both the target characteristics (e.g., industries) and the decision makers and influencers within those accounts. These ideal customer profiles should represent markets where the company can "win." Green believes it makes considerably more sense to go after multiple smaller margin accounts, rather than one or two larger ones. "Let's say hypothetically that 80% of your customers come from high-profile industries, such as pharmaceutical, oil or manufacturing, with the remaining 20% comprised of various smaller targets," says Green. "In this situation, it's clear that your focus should be on those that make up the larger percentage. Marketing to sources of prospects and customers that may or may not reside in the marketing database presents two common, but key challenges: Investing too many dollars outside the target market; or unintentionally over-soliciting one group while under-soliciting another." Green adds that it's also important to apply this stratification approach to people within an organization, investing more money in these contacts to build relationships. o Unknown prospects -- such as those who come from media sources like banner or magazine advertisements. You should also understand the entire possible universe of customers. For example, if you’re sending nearly one million emails, but there is only a possible universe of 100,000 within your ideal target market, you’re not likely to achieve much success with this prospect pool. It's all too easy to conduct a competitive assessment once, and assume that this information will continue to serve your needs. The truth is you'll want to conduct these regularly to keep abreast of any news or developments from your competition. Even if you do know who your major competitors are, conducting a series of searches every few months can keep new ones from sneaking up on you. Green cites an example from Microsoft that highlights an intense understanding of competitive weaknesses. "In the 1990s, Novell was the leader in computer infrastructure and networking," Green says. "Microsoft trailed in this space, but conducted thorough competitive analysis, and in doing so, found Novell's model to be cost inefficient. They then created an alternative solution that offered departmental-level networking at much lower cost. Novell had nothing in this category, and ultimately lost control of it. [Microsoft] understood vulnerability and created a game plan around it." While it's important to be aware of your competition, it's not necessarily a good move to follow every step they take ;so you should still look at your competitors' website(s), products and services to know what they are offering. Websites with more useful content, that are frequently updated, are typically more customer-centric. The more times a customer visits a website, the more likely they are to become repeat customers. In order to become the destination for information within your industry, you will need to invest some time and effort into providing unique, relevant and useful information for your current and potential customers. It's very easy to overlook proper post-campaign review and move on to the next campaign due to hectic schedules and deadlines, but this is vital for optimization. This is where successful marketers view and assess results, and learn from both the successes and failures to continue to iterate and optimize for future campaigns. If applicable, each team member should prepare a post-campaign analysis. It is important that the team have the opportunity to review all events within the campaign and discuss results. - What should we do differently next time? Of course, no two marketing campaigns are identical. And, every marketing campaign has unique and unexpected challenges. Following this framework doesn't guarantee success, but adopting this as a regular practice will afford your organization the structure and feedback necessary to learn from previous mistakes and improve future efforts. Success, as well as failure, is business intelligence that too often can easily go overlooked. The key to making your results benefit your planning is to take a long-term, pragmatic view that aggregates results across many campaigns over a long period of time. With a more precise and comprehensive approach, statistical baselines will emerge -- baselines that measure at key stages of the funnel conversion ratios and unit costs, and associate expense-to-revenue ratios with upstream response activity. In aggregate, over many campaigns, this information grows in value. "Optimizing the pipeline requires sustained commitment by executive leadership," Green says. "B2B companies can then use these baselines to identify and correct pipeline problems. This gives you not just a backward look at what has -- and has not -- worked well, but, through the established baselines, a forward look at forecasted results for any new campaign. In time, this will improve the planning process and assist management with overall sales forecasting." This final objective should focus on using lead generation to improve sales production and providing answers about how many sales opportunities should come from marketing, and how much revenue should result. To determine answers to these questions, it will require a collaborative exercise in capacity planning for both sales and tele-qualification teams. Actual sales outcome data should serve as a reference point for future planning and analysis, as sales outcomes are also useful calibration tools for both sales forecasts and for sizing efforts by the tele-qualification team. The answers to these questions will provide a baseline for evaluating campaign success and ROI. This information will help everyone think more precisely about the economics and tradeoffs involving funding more lead generation activity, or simply hiring more salespeople or recruiting more channel partners.